In its first midweek affair of the season, Cal baseball’s offense flexed its collective muscles yet again with a commanding 13-3 win over nonconference opponent Xavier for its seventh win of the season. Neu sent 17 different hitters to the plate and utilized eight different pitchers on the night, but star sophomore Andrew Vaughn unquestionably shined the brightest under the Evans Diamond lights. Vaughn finished the game with two home runs, two walks and five RBI, but that’s only scratching the surface of arguably the greatest display of pure power of his career. In his first plate appearance of the night, Vaughn mashed the very first pitch he saw: a fastball right over the plate. Not only was it a no-doubter — Vaughn knew it was gone right off the bat — but the moonshot cleared the Jumbotron in left-center field by a healthy margin, leaving the few fans who showed up on a cold Tuesday night dumbfounded. 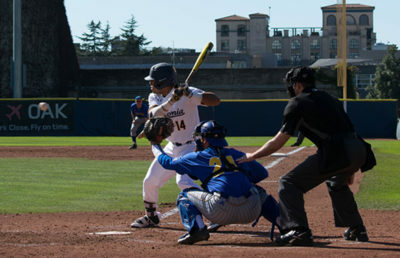 Vaughn drew his first walk of the game in the following plate appearance as Xavier opted to pitch around him, but the sophomore would one-up himself in his third trip to the plate. Xavier pitcher freshman Nick Zwack — who gave up Vaughn’s first home run — opted for an inside-outside approach, setting Vaughn up with an inside fastball. Zwack countered that inside cheese with a breaking ball on the outside part of the plate, but Vaughn simply waited back and slugged it over the right-center field fence, making his second round-tripper of the evening. One fan would embark on the task of finding Vaughn’s second home run, as the upper half of their body was visible from the bleachers. Some say that fan is still searching for that home-run ball. Only 11 games into the young season, Vaughn has already totaled seven home runs. Should he continue to mash taters at this current pace — a pace which is more than likely unsustainable — he would finish with 34 on the season. But as evidenced by the team’s 13 runs, Vaughn wasn’t the only Bear who sent a baseball soaring into the night. 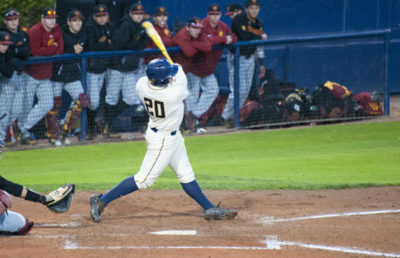 The same inning that Vaughn hit his oppo taco, sophomore Korey Lee basked in the spotlight and followed in his teammate’s steps by clearing the Jumbotron with a towering moonshot of his own for his first home run of the season. With four RBI, Lee eclipsed the three RBI he totaled all of last season. 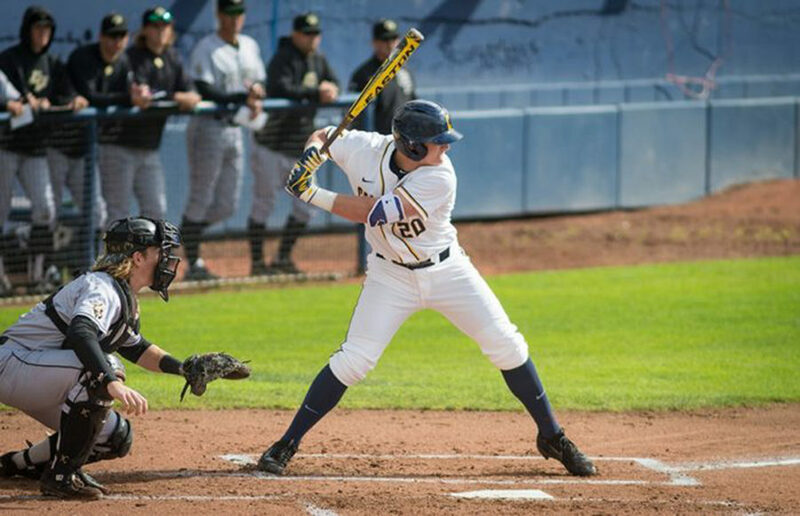 Freshman Darren Baker hit a milestone of his own, recording the first three-hit game of his career, bumping his batting average on the season up to .304. Of the eight Cal pitchers who took the mound against Xavier, junior Aaron Shortridge was the only pitcher to toss more than one inning. After Shortridge was pulled after two innings of scoreless ball, Neu utilized seven different pitchers for the final seven innings. Every pitcher had at least one strikeout, with seniors Conor Neumann and Zayne Patino and sophomore Rogelio Reyes sitting down two apiece.